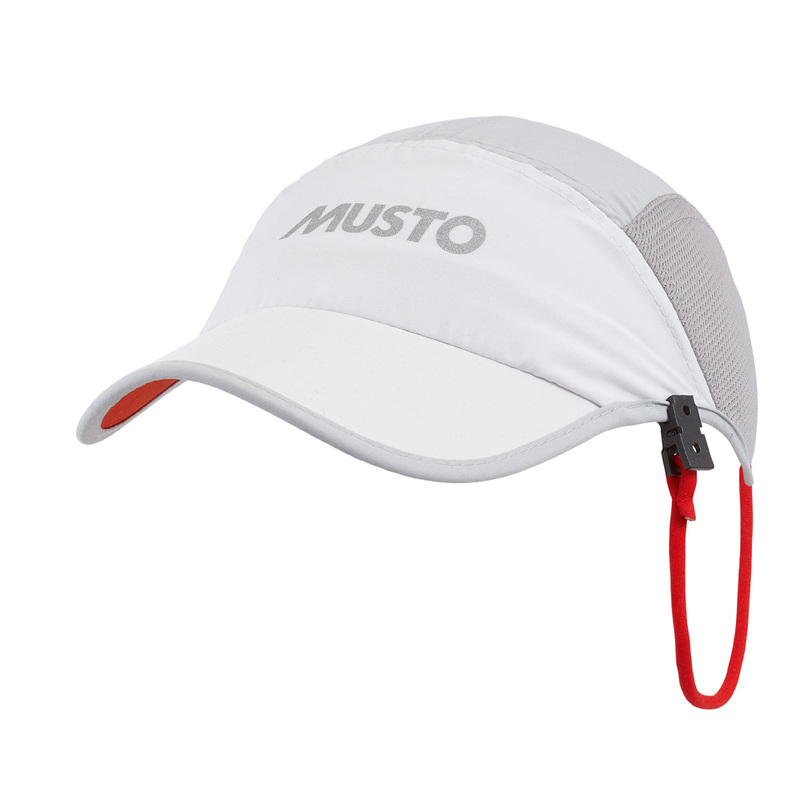 The ultimate sun cap, our UV Fast Dry Cap boasts UV40+ protection to defend against the sun's harmful rays as well as a classic peaked design to cut out the glare. Constructed from a fast dry fabric, this peaked cap will keep you comfortable even after you've been caught by a shower or splashed by spray. Mesh side panels provide superior ventilation to keep you cool and comfortable whatever the weather. A novel weave structure and denier produces sun protective properties. Fabrics have also been treated with chemicals affective at absorbing UV light during the manufactoring process. Care should be taken when washing these garments, to ensure detergents used boost UPF rating and increase garment life. SPF40+ sun protection for prolonged sun exposure. MUSTO SPF40 and SPF50 fabrics will perform and protect you from the sun's harmful rays.